During this first year with the elders from Casa de la Divina Providencia, the girls from the foster home Sumando Por Ti learned how to grow their own food free of chemicals and many other things, but over all they acquired a new perspective about themselves, the elders and the reality they inhabit. The images speak for themselves. We thank everyone from both homes for their support and participation, as well as all our friends and family who help us make this project a reality. Our deepest gratitude to BookBank USA for its support and sponsorship of this wonderful orchard in which we not only harvest veggies but also love and affection. “Germinating Ties” is a project that bloomed from the idea to help those in need to grab the power of their life in their hands, connecting with empathy and inner strength through service or caring for others. We managed the donation and installation of two ‘urban orchards’ within the premises of two retirement/elder homes in Mexico City. One day a week, the elders (that either live or spend their day there), together with OLAKAC volunteers and the guidance of a professional agriculturist, water, fertilize, protect, sow and harvest chemical-free vegetables that they eat. In addition, every 15 days a group of foster home children visit them and together they take workshops to learn about caring for the orchard, the environment and tools for their physical, mental and emotional health. Throughout several encounters, kids and elders form a familiar friendship between them, positive caring links, thus helping each other. In 2017 we placed our first orchard at the elder day-care home “Casa de la Divina Providencia, I.A.P.” and in 2018 we placed the second one, the first greenhouse, at the all-day elder home “Casa Betti I.A.P.”. Both have regular and accesible ‘farming tables’. They were both kindly donated by JDr. Andrew Kluger, President of BookBankUSA. Around the orchard care and the workshops, both groups learn how to manage an urban veggie garden and the impact that it has on their lives. In addition, they care for and recognize each other, reinforcing their sense of usefulness and social value, proving once more that unity and social work are a key bond for the existence of fulfilled beings. According to ENIGH 2016, 68.2% of elders in Mexico are unocuppied, which increases the chances of depression and age-related ailments. 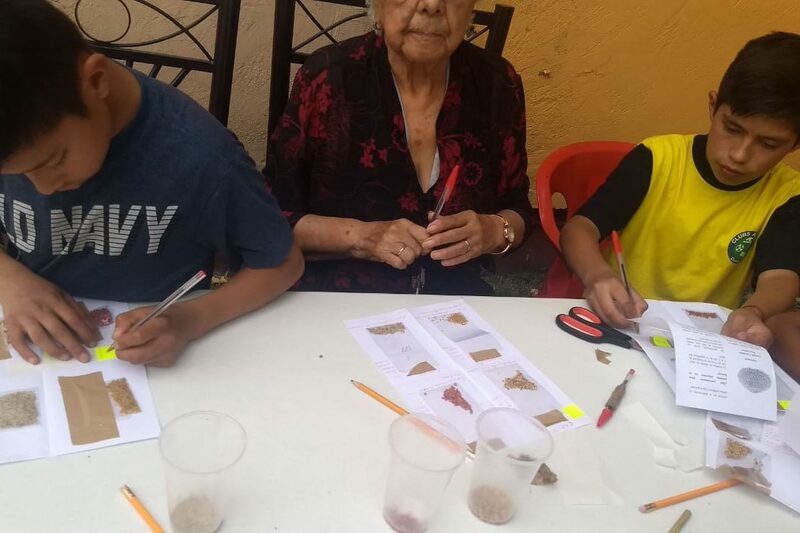 The GTBA project provides the elders with a productive activity that brings them a feeling of usefulness, thus helping improve their emotional and physical health. The reunions between children and elders provide feelings of happiness and wellness. They have developed strong bonds between them that make them feel not only accompanied but also useful by caring for others in need. Mexico is the first place worldwide in sexual abuse, physical violence and homicide of children under 14 y/o (OCDE, 2017). 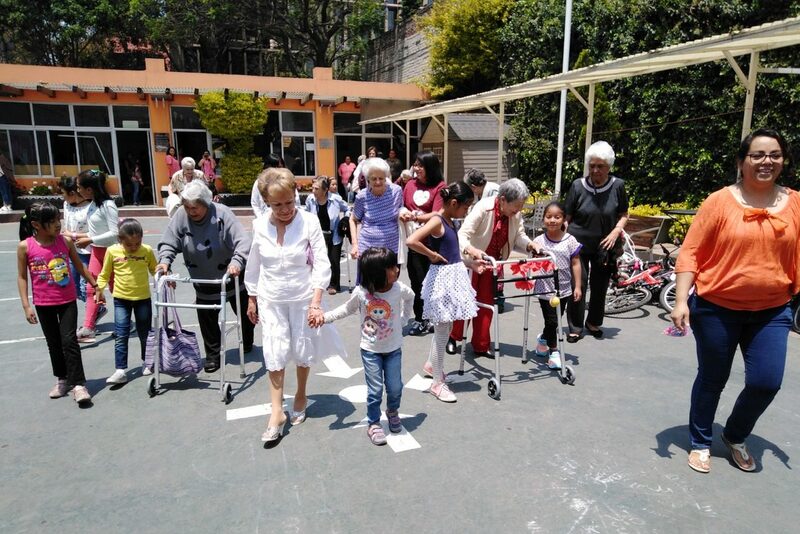 GTBA combines two of the most vulnerable groups in Mexico, elders and abandoned or orphan children. Mexico is a country with very little ecological awareness and education: according to INEGI and SEMARNAT, 60% of Mexican households don’t separate the solid residues they generate; one in every three homes does nothing for water conservation; 12% of them don’t save on electricity and 20% of families burn or leave outside the furniture they don’t use. 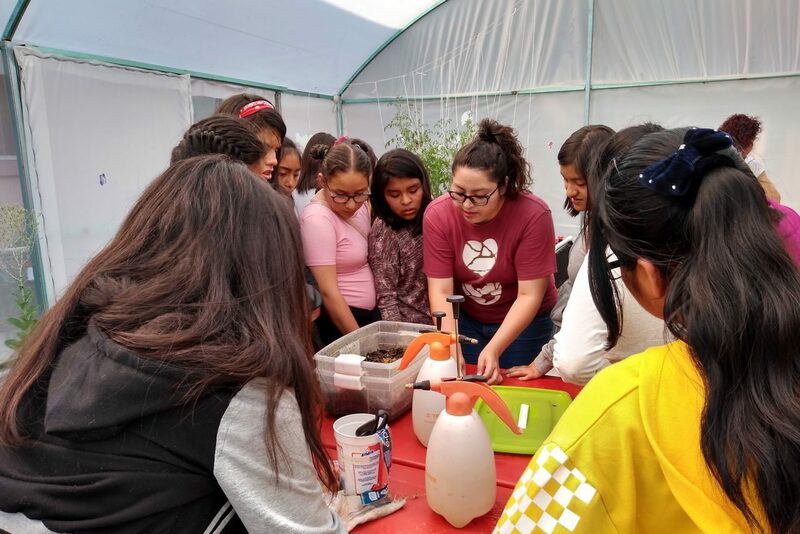 Our GTBA encounters focus on transmitting the necessary knowledge to children and elders about the small-but-significant actions to improve our environment, such as recycling and food production through an urban orchard, that help pave the path to a more sustainable Mexico. We want this to be replicated! Have a GTBA in your city! Our goal is to take GTBA throughout Mexico (and why not other countries!) and have many other associations implement it successfully. Please contact us so we can help you implement it. Download our first results report here. The project works and improves lives!